I have a very simple project, we are designing some window graphics however need someone to draw up the window graphics - merging 2 designs. We need the output in both vector format (AI) and EPS so the printers can adjust and print the graphics. We want a natural look of grass, (a lot of grass) but natural so little gaps between blades, and then Daffodils on the top. I have attached in the brief, the heights, but also some designs we have seen to see what we are looking for. 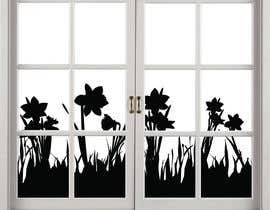 Essentially, we want the window graphics picture but with the grass much taller, more dense and then daffodils on the top. Those who are entering, please remember the design is very very simple. 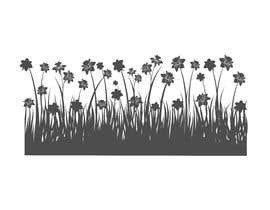 We want to replicate the grass from Design A (just making it taller) and then replace the flowers in Design A with big, clear daffodils and that is it. We are not looking for something completely new. Hi Nicole, the reason it is low is because it is not much more than duplicating and we just dont have the software capability. How much do you think would be reasonable? I would do it for $40 USD (so $30 GPB) Unfortunately $15 USD is just too low. I understand it's a simple graphic, but after the fee is removed, $10 is not worth it for the few hours spent creating the design. I will keep an eye out on this contest to see if you do increase the prize. If you do, message me the window sizes, and I will create what you need done :) Thank you so much for the response by the way, Very much appreciated!! #increaseprize Hi there, I'd love to work on this for you, but the award amount is a little low. If you could increase the amount, you would get more offers, definitely from me. I hope you consider it. Thank you!